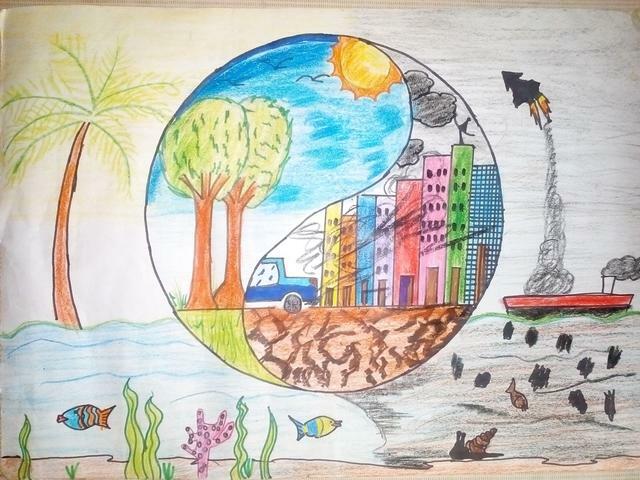 The artist writes: "When the world was created, everything was beautiful and nice on earth, until man started developments. Most of these developmental projects create destruction in our environments." Senam Akpabla is a 11-year-old student at Morning Star School in Accra, Ghana.